AMD’s Radeon R9 290X Battlefield 4 bundle is now available for pre-order by a few Swedish retailers which debunks the rumors about the bundle getting postponed for an unspecified reason. Along with the pre-order listing, we now have confirmed specifications of the Radeon R9 290X GPU along with a benchmark score in 3DMark 2013. 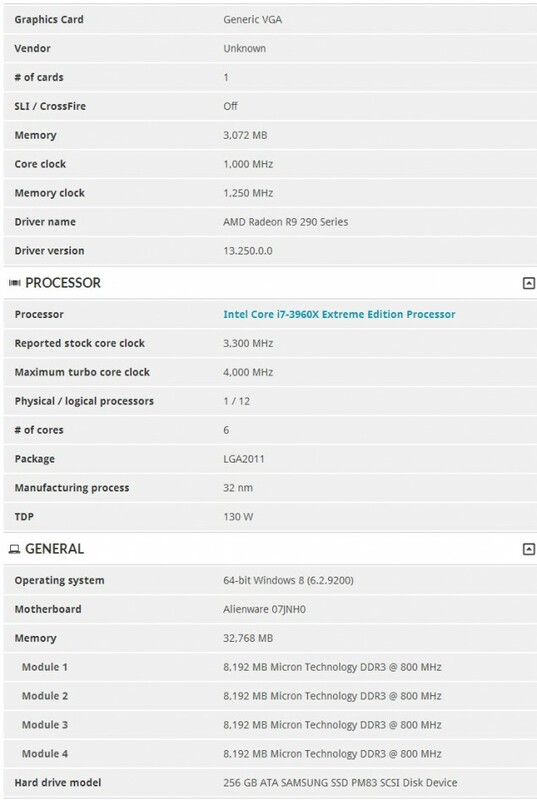 A few hours ago, the specifications of AMD’s Radeon R9 280X, Radeon R7 260X and Radeon R7 240 were confirmed through leaked GPU-z screenshots. Now we can also confirm the Radeon R9 290X specifications. AMD’s Radeon R9 290X is based on the company’s flagship Hawaii graphics processing unit which is the most powerful chip ever built by AMD as revealed at the GPU ’14 press conference. The new card makes use of the brand new Hawaii GPU architecture which is aimed directly against the top dog from NVIDIA aka the GK110 GPU. The Radeon R9 290X features a full blow Hawaii chip with 2816 Shaders (SPs), 44 ROPs (Raster Operators) and 176 TMUs (Texture mapping units). The Radeon R9 290X GPU is clocked at base clock of 800 MHz and supports GPU boost frequency upto 1000 MHz. The memory is clocked at an effective clock speed of 5 GHz. One of the biggest changes made by AMD in their Radeon R9 290X graphics card is the addition of 512-bit bus interface compared to the 384-bit bus on their last generation Radeon HD 7970. The Hawaii GPU comes with a total of 4 GB GDDR5 memory which is lower than the GK110 based Titan but higher than the 3 GB GeForce GTX 780 which falls just around the same price point. The higher 512-bit bus allows for ridiculously higher bandwidth over 300 GB/s which is sufficient enough for the Hawaii GPU. 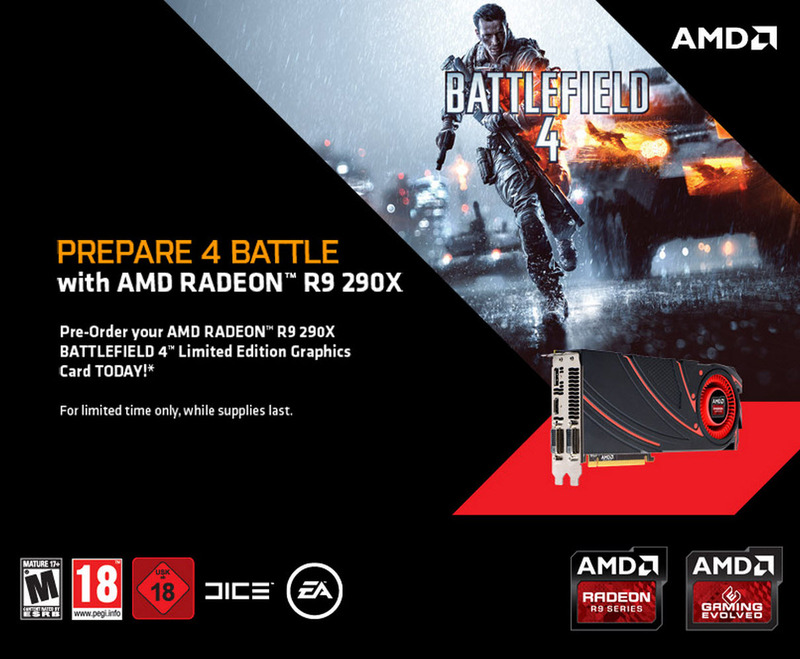 The card uses the latest AMD CrossFireX technology allowing for upto Quad-Way GPU functionality without the need to equip a CrossFire cable since the signals are being sent via the PCIe bus interface. AMD mentions that the new CrossFire technology for AMD Radeon R9 290X is designed to for AMD Eyefinity and UltraHD (4K) resolution setups. The new technology, as mentioned before allows for direct access between GPU display pipelines over PCI-Express hence no external connectors are required. The technology is fully compatible with AMD’s Catalyst frame pacing technologies which help reduce frame pacing issues faced with Multi-GPU setups which have been a massive problem with the Radeon 7000 series. Lastly, the slide mentions that users would face no performance penalty by with Sideport versus traditional used external bridges for CrossFireX. As you can note from the pre-order listings found out by Videocardz, the card is available for 7499 SEK which is around the $800 mark. We can’t confirm whether the official pricing would be just as high but the high price is expected until AMD or retailers are officially said to start the pre-orders. Until then, expect high prices. 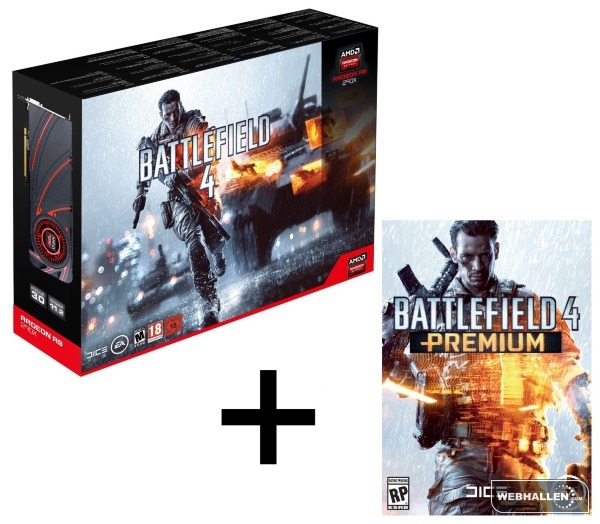 The most interesting thing regarding the Pre-Order is that while AMD had originally planned to ship only the Limited edition copy of Battlefield 4, Webhallen on the other hand is also shipping the Battlefield 4 premium in addition to that which sounds like a great deal. 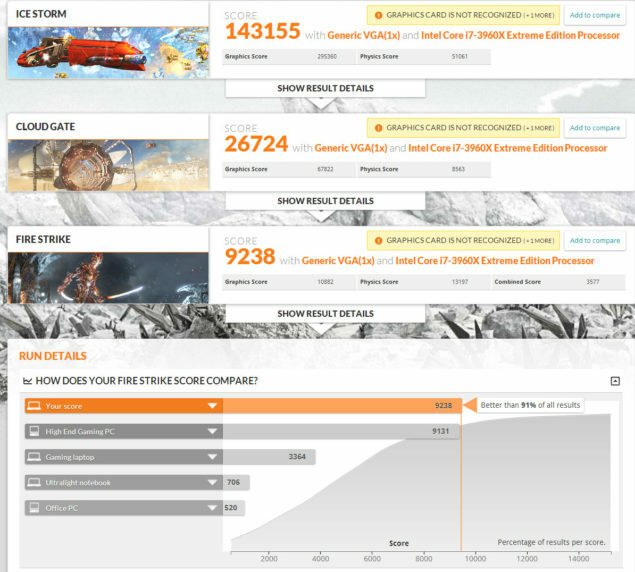 As for new benchmarks, this 3DMark score from a very reliable source shows that the card is indeed faster than the GeForce GTX 780 and a bit higher than the GeForce GTX Titan which scores around 9000 marks. The slower Radeon R9 290 would be place against the GTX 780 but its true competitor is NVIDIA’s upcoming GeForce GTX 770 Ti which would bring GK110 at an even affordable price range. 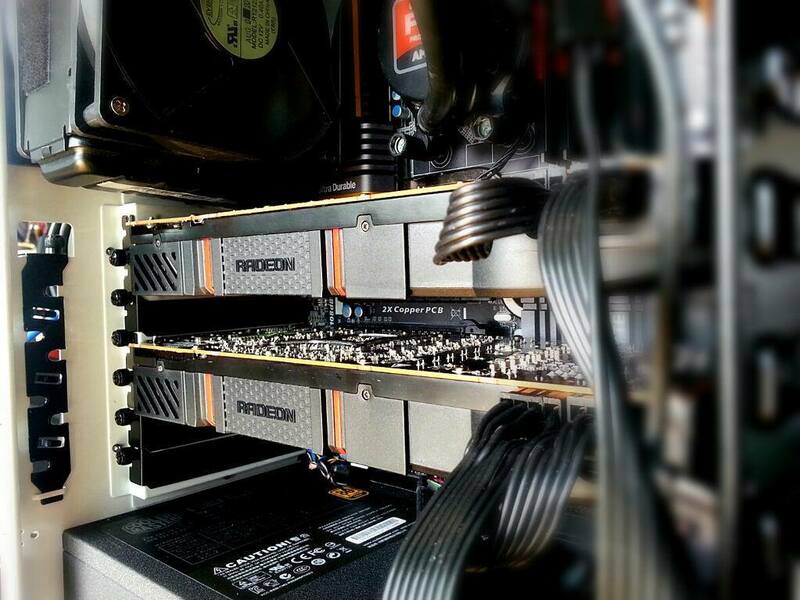 The AMD Radeon R9 290X is going to be officially released on 15th October, till then enjoy a picture of two Hawaii GPUs running in CrossFire mode from AMD’s own James Prior aka Cavemanjim! Note – The 3GB memory reported by 3DMark is a bug which is caused with certain graphic cards such as the 6 GB Titan and the Radeon R9 290X.